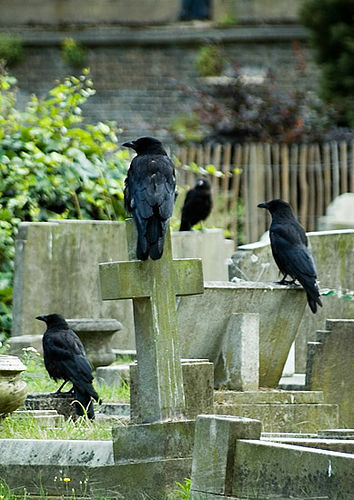 One of London’s “Magnificent 7” Victorian cemeteries, 40 acres worth of green space sandwiched between Brompton Road, Fulham Road and Stamford Bridge football ground, it opened in 1840. On the edge of zone 1, West Brompton Underground is right next door, Earls Court a short walk away. It has plenty of famous residents both real and imagined. - Emmeline Pankhurst’s grave, with its striking art nouveau headstone is on the tree-lined main avenue. Far more hidden is the final resting place of Sir Henry Cole, founder of the V&A; only recently rediscovered, it’s almost unmarked, all but hidden in a quiet corner. Beatrix Potter, who lived just down the road for a while, found plenty of inspiration here - look out for the Nutkins family grave within the ring of catacombs, near the small domed chapel. One of our favourite epitaphs is for Percy Lambert, the first person to drive 100 miles in an hour, whose headstone bears the marvellously Edwardian inscription: “A modest friend, a fine gentleman and a thorough sportsman”. And finally, in these financially delicate times we like the fact that Brompton cemetery reminds us that not even death is certain - it was the first British company to be nationalised. To find out more visit the Friends of Brompton Cemetery. There is a conducted tour of the cemetery, open to all, on the last Sunday of each month (and sometimes more often), starting from the Fulham Road entrance gates at 2:00 pm. Image by R.I.Pienaar via the Londonist pool.